In case you’ve been wondering what I’ve been up to – it’s been a couple of things, but the most exciting thing this summer is the fact that I’ve got about 56 pages of my master thesis on women in EMM written, that’s excluding all the appendices–Woo hoo! 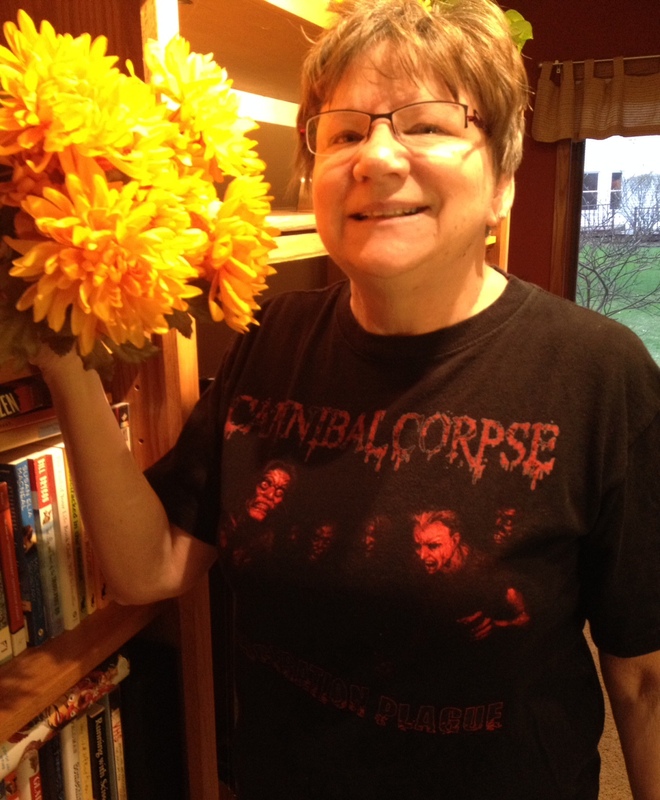 In addition, the folks over at the Society of Ethnomuiscology’s Student Union Blog were gracious enough to allow me to post about my experience with academia, motherhood, librarianship, and metal. Check it out! 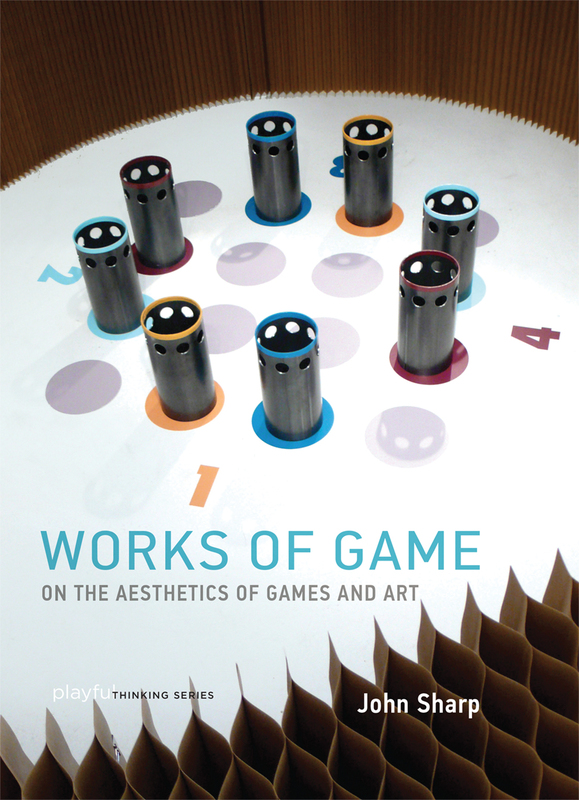 Moreover, I just finished writing a book review for Choice Magazine and I’m now in the midst of writing another review for ARLISNA on John Sharp’s Works of Game:On the Aesthetics of Games and Art. Which, by the way, I totally recommend as summer reading! Lastly, I’ve been lucky enough to see Gospel of the Witches twice this year! I’ve made a handful of good friends through the academic metal route and the experience has really imparted some enlightening insights for me. With that said, here’s a couple of pics from the GoTW show at Blackthorn21, July 10, 2015. It really was a great show and unfortunately I didn’t get a chance to get pictures of the other bands–all female fronted too, like The Missing and Earthbound! I was asked to write an album review over at MetalRiot.com of an inspiring musician I’ve mentioned on this blog in the past – Karyn Crisis! Her band is Gospel of the Witches. Below is a copy of the text that you can find over at Metal Riot. As most loyal fans of Crisis will find—Gospel of the Witches is a departure from the core metal/death sound of their 90’s heyday. But that’s to be expected. 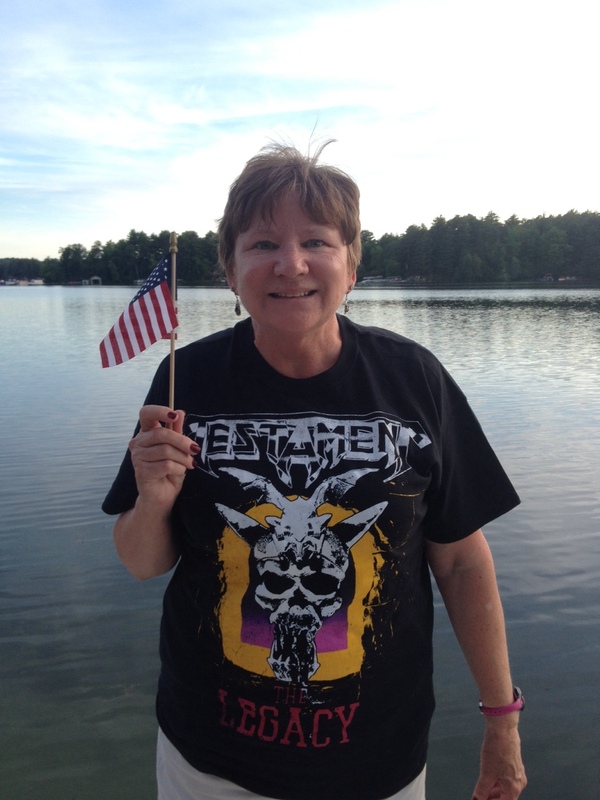 Away from the East Coast metal scene after the Crisis break-up, Karyn travelled to California to learn more about her experiences with the incorporeal, having had countless episodes of what could best be described as “encounters with the supernatural” during her childhood and onward. In between self-discovery and music-making with a brief stint in husband Davide Tiso’s band Ephel Duath, we find a new Karyn, grounded in her abilities to communicate with her own spirit guide and with humanity through the medium of music. Ever the creative soul, she’s crafted and pursued leatherworks, paintings, and mediumship and come back full circle to music. Gospel of the Witches’ debut album, Salem’s Wounds, is Karyn’s latest mesmerizing project with husband Davide Tiso of Ephel Duath and Bob Vigna from Immolation on guitar, Ross Dolan, also from Immolation, on bass and backing vocals, and Charlie Schmid from Vaura on drums. 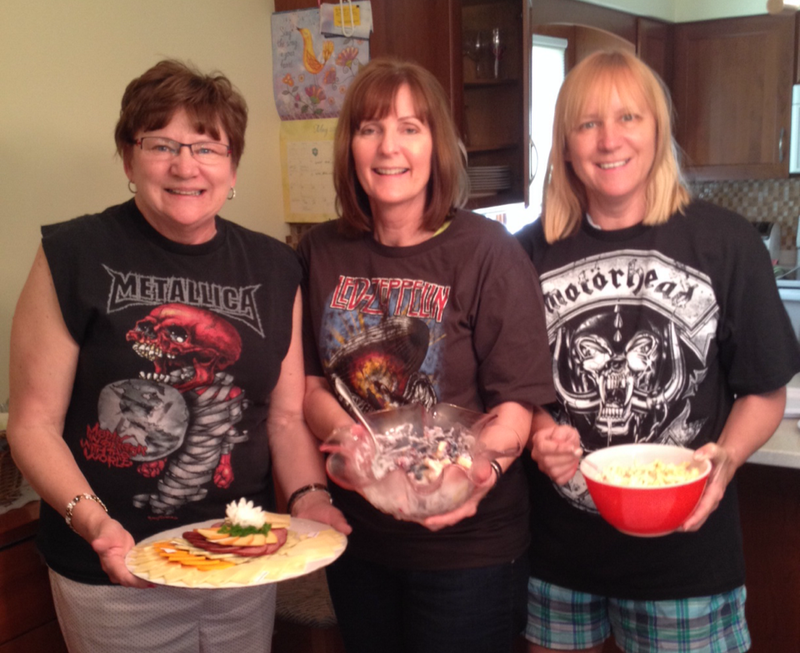 Each member brings a range of experience to the table. To me, the first significant song is the opening track, aptly-titled Omphalos, which becomes just that – an object of power, positioned to propel the listener on a journey of arcane reflexivity. Karyn’s “I am no one, I am nothing, I am nowhere,” juxtaposed with “I am everything, I am everywhere, I am everyone,” starts with clean vocals and quickly metamorphosizes into a growled delivery layered atop Ross Dolan’s own deathly vocals and sets both the tone and expectations high with a powerful intro to the album. Its subtle ascending vocal tempo creates an escalating mood, a musical ascension of sorts. Short, simple and leading; it directs the listener right into the second song, The Alchemist, in which the theme of being an acolyte learning the ways of the occult arises from both the composition of Karyn’s music and lyrical content that points heavily towards mysticism and transmutation – “I am no longer the dust and lifeless, waiting to be swept away…” and “…I hear those words, kept unsaid, and I walk in the world of the living and the dead.” A little more than halfway through the song, we hear a bit of the old Crisis as Karyn alternates styles with bits of clean and heavier vocals with Dolan backing the choruses. And so begins our journey, alongside Karyn, towards self-discovery. In a Lovecraftian way, we learn of ritualism and guidance from both Ancient Ways and Aradia, where verses become chants foretelling haunting revelations of mankind existing as only a small part of the greater world. The driving melodies lead the ear to witness the rites in progress. Karyn’s lyrics paint a haunting, yet enlightening, revelation of liberation. Aradia, itself, is used interchangeably for “Gospel of the Witches,” featured as part of the title of the original book or religious text, from which the band’s name most likely originates. Its also the name of a person in the book, allegedly the daughter of Diana, Queen of the Witches and Lucifer, portrayed as a sun god. In 1899, it later caused quite a stir and came to be a major influence on the modern Wiccan belief system. It details rites and beliefs of a sect of Italian witches, which is intriguing considering that Karyn’s husband lives in Italy, and she, herself, spent several years living there with him. Its interesting to me to note that Gospel of the Witches has a pronounced gothic tinge to their overall sound. With both Dolan and Vigna from Immolation on board, I had expected to hear a composition replete with shredding guitar and complex death metal composition, tempered by Davide’s somewhat lyrical guitar-work and pacing. Instead, we’re indulged with a surprising side of Immolation’s palette that moves in a more gothic-rock direction and has Karyn, at times, invoking early Switchblade Symphony with her vocals instead of Dawn Crosby or even her own previous works. As two halves of a greater whole, the songs Mother and Father are a nice compliment to each other. They’re a payment of respect to the progenitors of the universe and not just the parents that gave birth to us-though one can interpret its multilayered meanings to differing conclusions. With Mother in particular, the lyrics really resonated with me as I lost my own mother to disease when I was 23, so I took the lyrics of “Mother, I can feel your flesh burning, Mother, I can smell your sacrifice” as both profound and cathartic, with a call-and-response relationship built in. However, what Karyn is doing here is relating Aradia’s story, her origins, the depth of her beginnings. In contrast, the song Father radiates a more anchored feeling than what Mother produces. Its potent lyrical structuring with repetitive chants like “I am” followed by words such as invictus sets forth a dominant tone of invocation making it read like Delphic verses in the night. What we can infer here is Aradia’s conversation with her own Father, stating her known identity; she is aware of her origins and unconquerable spirit. In many places throughout the album, Karyn layers her voice with Dolan’s, creating an interplay that harkens to a singer possessed. This maniacal effect plays with our aural assumptions of what is masculine and feminine, giving equal play to both genders and allowing them to become one. What results is a ritualistic profoundness similar to an altered state of consciousness. We become active listeners in her tale of the first witch. Perhaps the one song that really brings this concept home for me is Goddess of Light. In particular, the part where Karyn sings, “Bear witness to my eternal rebirth”. Through a quick perusal of the definition of the Goddess Light deity that Karyn refers to, its possible to interpret the song as an homage to the divine feminine. What also struck me about this reference to the Goddess of Light was how it ties into my own conversations with my mother-in-law, who is a Hindu. An equivalent deity to the Goddess of Light, tales of the Hindu goddess Lakshmi relate a story of The Churning of the Ocean in which her disappearance from the world leads to darkness and chaos overtaking the earth with asuras (spirits) taking over. After much work and perseverance between the other deities and humans, Lakshmi returns, overturning the demons and making the world safe once again. Karyn’s music alludes to this kind of ethereal world-building. With a surprising change in tone, at least in its intro, we hear The Secret, the tenth song on the album. It opens with a spacier introduction bordering on lounge-like beats. Her lyrics, “if you don’t go within, you go without,“ seem to sum up her inner discoveries and confessions. There’s a subtle extended invitation to join the dark with her, making it feel as though you’re witness to something beyond the sacred. However, the lyrical play on words could also reference Buddhist Zen ideas of self-discovery and self-evident truths contrasted with a activities of people looking for external signs of faith as a validation or sign of reprieve from their life’s troubles through pseudo-spirituality and mysticism, or people who superficially claim to practice “black magic” or “witchcraft” without knowledge of the traditions, lore and history of what they’ve appropriated. Compositionally, I was surprised by the relative simplicity of the music compared to her earlier works, as fans who go in expecting anything resembling Crisis aren’t going to find what they’re looking for instrumentally here. Immolation fans will frankly be shocked. There’s nothing inherently wrong with musicians of Immolation’s background coming together to produce music of this type, but it should almost come with a warning for certain types of fans who may be more close-minded or fixed in their ideas of musical expression and range and are put off by change. In many ways, what Karyn has done here is exactly the opposite of the progression Carl McCoy underwent when transitioning from Fields of the Nephilim to simply, Nephilim. His was a journey from atmospheric and gothic rock to gothic-influenced death metal, also steeped in mysticism. 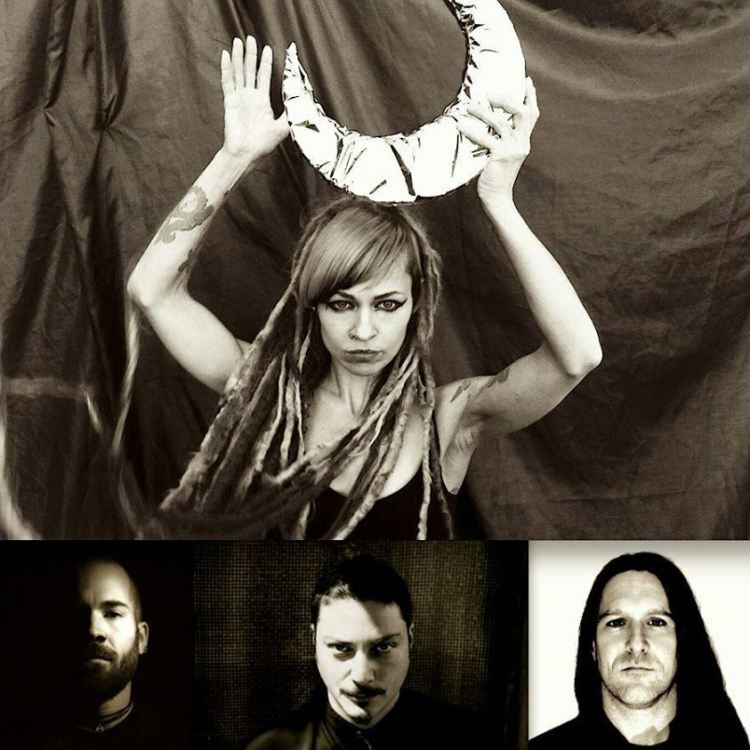 Hers has been a journey from metal to atmospheric, metal-influenced gothic music – with a movement from introspection and to the occult. With Salem’s Wounds, we’re once again sharing in her confession with a leading gothic rock melody. There’s an abject feeling listening to her use of “hallelujah“, conveying an inversion of Christian traditions. Her repetition of the word “samsara”, the reincarnation cycle, reminds me of Hindu myths and how the religion at one point, and still to a degree today, was considered pagan to western Christian hegemony. It’s through these intentional nuances of lyrical construction that Karyn imparts a spiritual epiphany. If the NBC tv-series Constantine stays afloat next season, this should be on the series soundtrack. I’ve had an advance copy of the album for about a week now, and ultimately, I had to listen to it twice before I began to realize its full thaumaturgic intentions. As each song unfolds, Karyn’s ability to build a world very different from what we’ve known of Crisis emerges. The same can be said of Vigna and Dolan’s parts here – maybe even more so. I, myself. had to shed my preconceived notions of a possible death metal album because of Dolan and Vigna’s involvement. What we see, instead, is not a brutal, in-your-face assault of Karyn’s previous politics, but the mature, cultivated cosmos of a world that she’s been quietly exploring for decades. As a personal project for Karyn, it’s evident that her spiritual and existential experiences are grounded in her musical composition, paralleling her growth as an artist and medium. It goes with the tone she’s set for the entirety of the album. By the end of this album, the listener is left with a somber and dirge-like atmosphere, prepping the ear to trade in what’s it known from its physical life for a second helping of spiritual self-discovery. In a manner common to all things esoteric, the album’s chants and dark, meandering atmosphere leaves the listener with a feeling of transition, waiting for something “more”. Whether that “more” is in the form of an actual visitation, only Karyn Crisis can tell us. With all the ongoing research I’ve been doing for my thesis, I came upon this gem. It’s a documentary produced back in 2006-2009 by Denise Gaberman called Welcome to Metal Kingdom (see video below). Gaberman chronicled the lifespan of a small metal venue that opened in Queens, NY, back in 2006 called Metal Kingdom. The film is about 35 minutes long and offers a nice snippet of what the metal community, especially the Pan-Latino metal community looked like in the early 2000’s. It documents the year-long journey of the owner, Salvador Gil, and his partner Edwin Mazariegas, towards maintaining the venue’s life amid financial, political, and renovation complications. 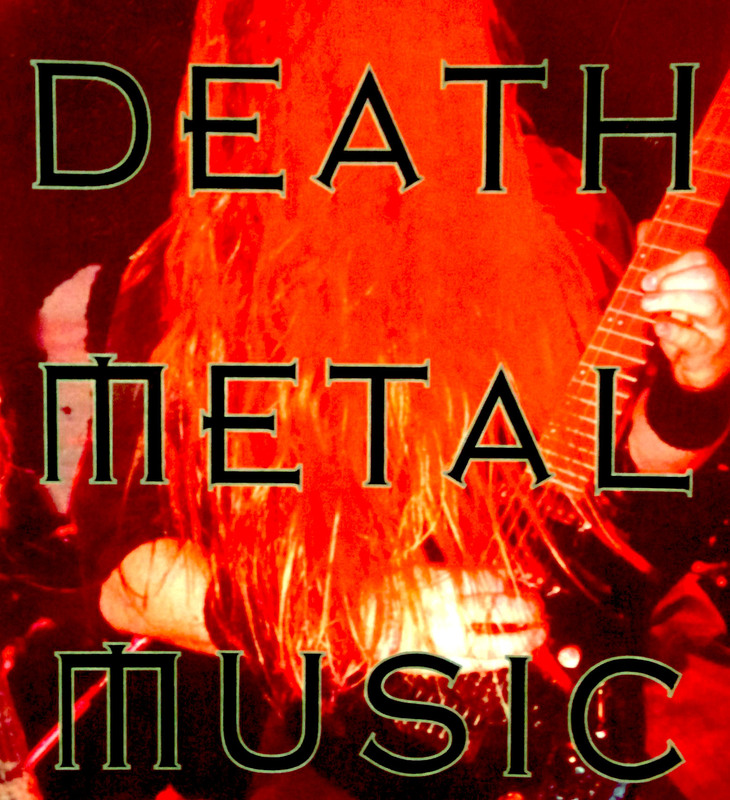 Having seen Sam Dunn’s series, Metal Evolution, I found this documentary, in contrast, even more fascinating and quite different due to its exploration of the ethnic groups participating in NY’s local metal scene. Metal has so often been stereotyped as “white male adolescent” music and this documentary contradicts this notion and in fact shows the director’s perceptiveness to include interviews with women and people of color within the scene. Of particular interest to me were the interviews with two sisters (Denise and Wanda Ramirez) who were in two different extreme metal bands in which they employed male vocal stylings-something that is still rare in the more commercial extreme metal bands that are fronted by women. 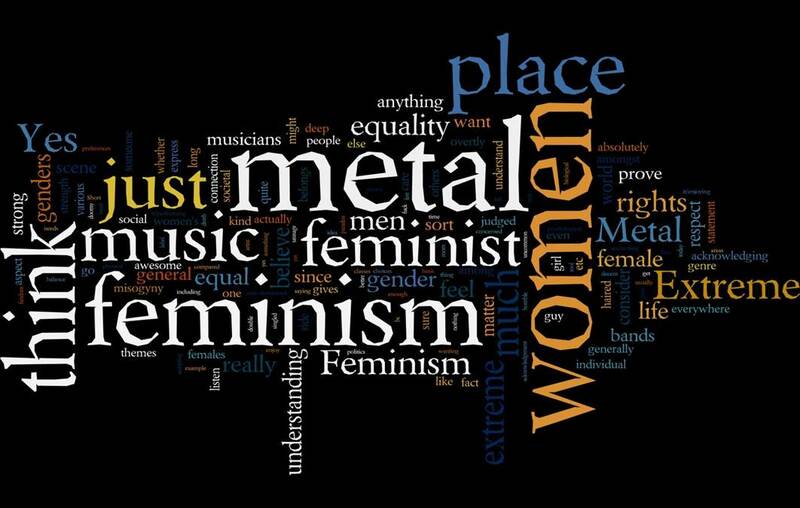 Add to this, that we still see very few extreme metal bands with women period. Since my research is ongoing, I hope to reach out and get further insight on both the men and women from the Pan-Latino community as it definitely looks like a gap in local NY Metal scholarship. 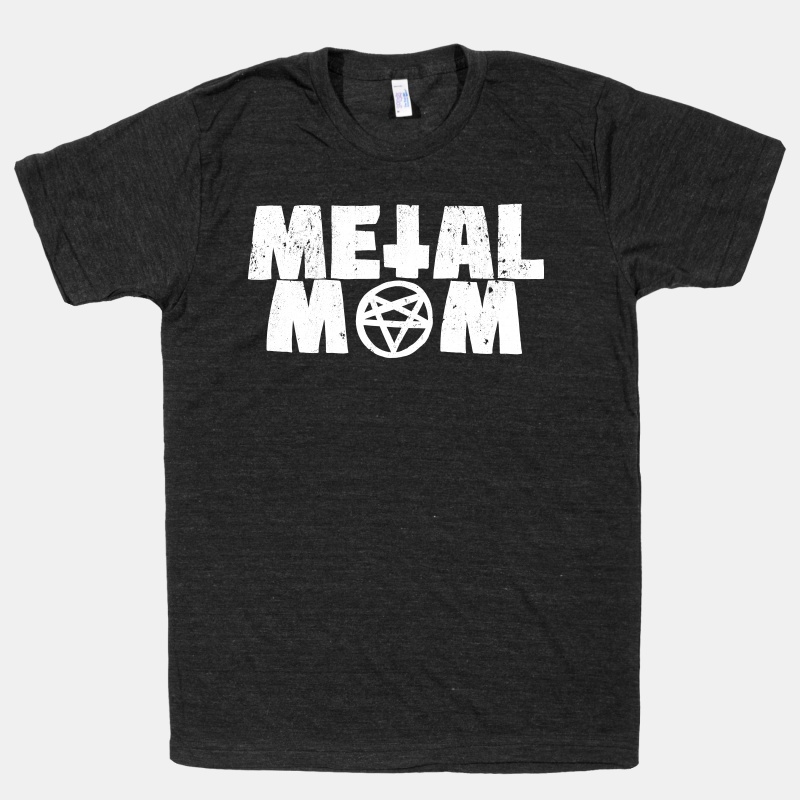 Over at RateYourMusic.com I found a nifty list of DOOM metal bands with females either fronting the band or as members. To my serendipitous surprise, I just discovered the band Agrimonia. 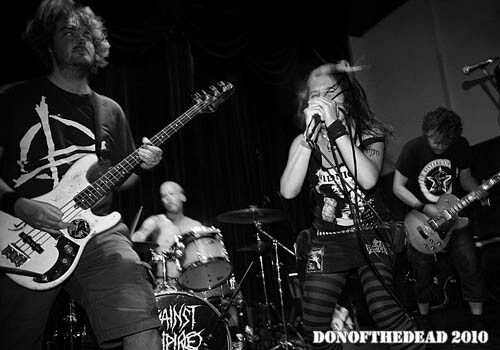 Fronted by lead singer, Christina, the band hails from Gothenburg, Sweden and employs a sludge, crust, post metal sound–not surprising, given Gothenburg’s musical history. Having only listened to the band’s first self titled album from 2008, I wasn’t left wanting. Of course, I can’t wait to hear the next two albums that were released in 2010 and 2013. I could totally imagine them being signed to Neurot Records if they were state-side. It’s that kind of organic sludge.